A new poll shows the upcoming election is too close to call. 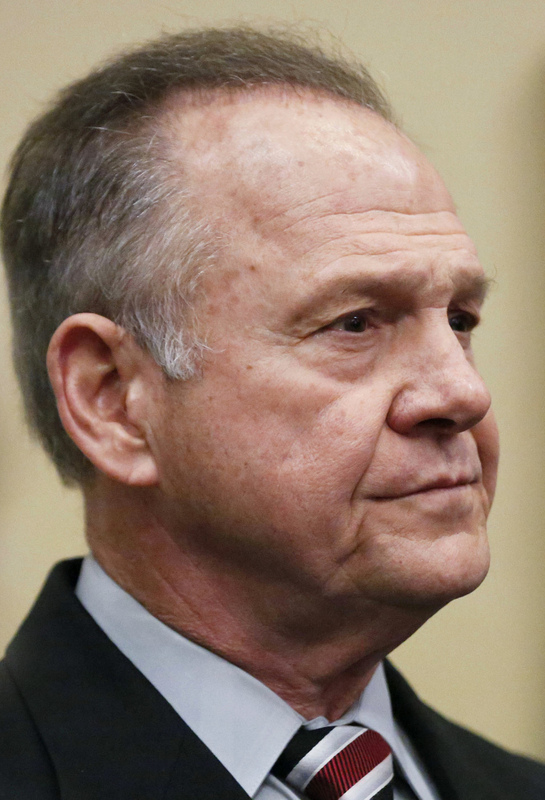 MOBILE, Ala. –– Three days after allegations of sexual misconduct with teenage girls hit Alabama’s Republican Senate candidate Roy Moore, the race has become a toss-up that threatens President Trump’s agenda in Congress and has split Republicans over how far they’re willing to go to save the seat from a Democrat. The accusations that Moore, when he was in his 30s, dated teenagers and had sexual contact with a 14-year-old have created a crisis for some Republicans. The allegations come during a national uproar over sexual harassment by high-profile leaders in entertainment and business, and many Republican senators and other officials swiftly called for Moore to drop out of the election. Others, including White House officials and Senate leaders, have equivocated. Republicans have only a two-vote majority in the Senate upon which Trump’s agenda depends. If they do not deliver, they risk being rejected by Trump voters in the coming midterm elections. A loss by Moore would make the Senate majority more tenuous. But a win, some Republican strategists fear, could drag down other party nominees in next year’s elections. A new poll Sunday showed the race in Alabama nearly tied. The Democratic nominee, Doug Jones, a former federal prosecutor who won convictions against Ku Klux Klan members for one of the most notorious crimes of the civil rights era, held a narrow lead, within the poll’s margin of error, the poll by Louisiana-based JMC Analytics found. Moore, who enjoys folk-hero status among his most ardent supporters, has shown no signs of stepping aside despite pressure from national party establishment figures he scorns. That has left Republicans unsure of their next steps. Some say only Trump’s influence could persuade Moore and his devoted supporters in Alabama to go in a different direction, but it remains unclear if the president would be willing to intervene. He said on his trip to Asia that he was monitoring the situation. White House legislative director Marc Short tried to avoid committing himself Sunday. “There’s no Senate seat more important than the notion of child pedophilia,” Short said on NBC’s “Meet the Press.” “But having said that, he has not been proven guilty,” Short said.